Eastern hellbenders, slippery cold-water salamanders that can grow more than 2 feet long, are one of our best-known yet least-seen amphibians. 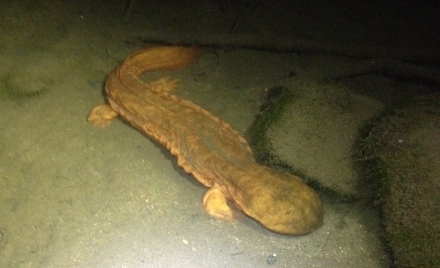 Hellbender videos with a similar dual nature -- they add to our understanding of the state-protected species while also feeding our fascination -- have cropped up from a DNR hellbender survey canvassing Georgia mountain streams, and the attention that project has focused on the continent's largest salamander. DNR wildlife technician Keith Ray and project leader Thomas Floyd recently videoed the fluid swimming motion of a young hellbender caught and released in Towns County. And who can forget last year’s video of a male hellbender guarding a "nest rock" in a Chattahoochee National Forest stream (“Reign of the den master,” Sept. 29)? Through the multi-year State Wildlife Grants project, DNR's Nongame Conservation Section is working to identify, assess and monitor Georgia hellbender populations. This field season included the capture, data collection and release of 86 hellbenders from 15 stream reaches. Six of those hellbenders, from three different stream areas, were initially caught and PIT-tagged in 2012. Floyd said the data will help estimate how many hellbenders inhabit surveyed stretches, which are sampled every three years. Report sightings in Georgia to DNR wildlife biologist Thomas Floyd. Buy or renew a DNR eagle or hummingbird license plate, the primary fundraiser for nongame wildlife conservation in the state. Upgrade to a wild tag for only $25! 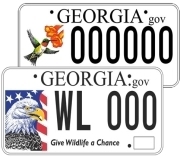 Contribute to the Georgia Wildlife Conservation Fund when filing your state income taxes. Giving is easy and any amount helps. 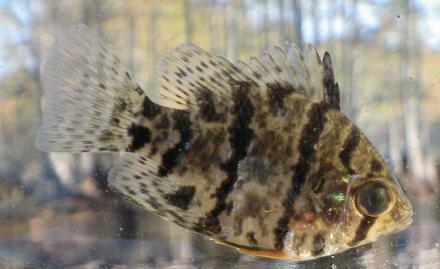 A new DNR web portal meshes the agency’s data on occurrences and natural communities with interactive mapping to document the in-state ranges of more than 1,250 rare species from blackbanded sunfish to velvet sedge – all within seconds. Creator and conservation data manager Greg Krakow of the DNR Nongame Conservation Section calls the portal the most “complex, information-rich range map” he has seen. Ranges are defined using seven map units such as counties and watersheds. Occurrences are color-coded by when they were documented. Where a species possibly has been extirpated or introduced is shown. The portal also links to species profiles, lists the conservation status and connects to NatureServe overviews of the species. The result for researchers and the simply curious alike is a dynamic view of where a plant or animal has been found in Georgia. In the works for years and debuted this spring, the project is based on NatureServe Biotics, the state’s most comprehensive database of rare species occurrences and natural communities. Nongame Conservation manages Biotics (details in the section’s annual report). Biotics has its limits. One is that the focus is on occurrences and habitat areas significant to conserving a species, Krakow explained. There also are some data gaps. And what’s in the database, or even what’s not, can help target surveys and other conservation projects. Updates can be made in a few clicks. Krakow is switching an agency webpage that lists rare species by county to the new system (“What’s in your county,” July 27, 2013). He’s also basking in some deserved praise for the range maps portal, including a second-place award in an international map contest at NatureServe’s annual conference. Occurrences can be sent to the Nongame Conservation Section for review electronically or manually. When we are youngsters learning about the wonder and perils of the great outdoors, our parents taught us a number of valuable lessons aimed at keeping us out of harm's way. Don’t grab bumblebees. Don’t eat every berry we see. 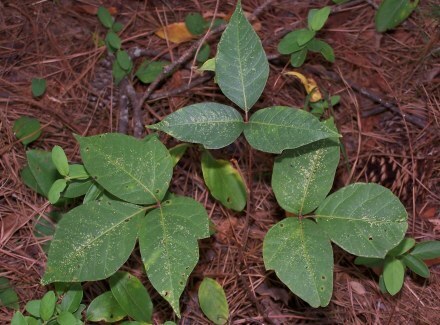 And heed the poem, "Leaves of three, let them be," to avoid poison ivy. Read the rest of Terry’s column about the pros and cons, for people and wildlife, of this native plant. How would $1,000 help advance conservation education in your class? The Nongame Conservation Section and friends group The Environmental Resources Network, better known as TERN, is again looking for exceptional third- through fifth-grade Georgia conservation teachers interested in the $1,000 grant focused on promoting wildlife conservation. Apply by Sept. 18. A risk assessment of the salamander fungal pathogen Bsal in North America says an invasion of Batrachochytrium salamandrivorans could cause epidemic “declines and extinctions in the world’s richest and most diverse salamander fauna.” The Southeast, a salamander hotspot and home to two of the top five import sites for the salamander trade (Tampa and Atlanta), rates as one of three high-risk zones, according to a paper in Science (subscription required). Promoting the vital role of prescribed fire for future generations is the focus of the Georgia Prescribed Fire Council’s annual meeting, Sept. 29 at the University of Georgia’s Tifton Campus Conference Center. A lineup of speakers including author Janisse Ray and David Godwin of the Southern Fire Exchange will cover a range of topics, from practical (Farm Bill programs for habitat restoration) to perspective (Painting fire into the landscape, with artist Philip Juras). The meeting is open to the public. Southern pine decline is a non-issue, according to forest health experts. UGA and U.S. Forest Service researchers uncovered no evidence for claims of large-scale pine die-offs or hampered growth possibly due to root-feeding weevils or unexplained reasons, according to a study published in Forest Ecology and Management. 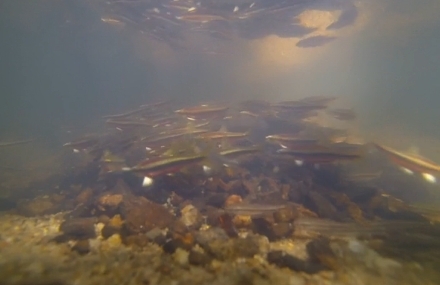 This video of spawning yellowfin shiners and bluehead chubs in a Piedmont stream was taken by DNR senior wildlife biologist John Jensen. The spawning activity is late for both minnow species, considered nest associates because they will share the small nest mound a male chub builds from gravel and pebbles. In other nest cam news, Berry College is installing new cameras at its bald eagle nest, prepping for the nesting season that usually begins in October. At The Landings near Savannah, operators of what turned out to be a great-horned owl nest cam – after the owls took over a former eagle nest – are upgrading equipment and adding an approach cam this month, in time for whichever birds show up in September. Wildlife cams, those shared with the DNR Wildlife Resources Division (Berry College and The Landings) and the agency’s peregrine falcon and Go Fish Education Center cams, helped the division land second in the Association for Conservation Information annual awards category “Supporting conservation and increasing online engagement.” Announced at the association conference, DNR also placed first in “Success on a shoestring” with its lifetime license contest and third in newsletters with Georgia Wild. Complete list. The Georgia Ornithological Society is prepping for its annual fall meeting, Oct. 2-4 on Jekyll Island. Speakers include “The Birdchick” Sharon Stiteler and S.C. DNR’s Felicia Sanders, with field trips scheduled for barrier islands such as Sapelo and St. Catherines and other birding hotspots like the Andrews Island causeway and Altamaha Waterfowl Management Area. Trying to buy 100 North American wood turtles caught in violation of state law landed an Illinois man a 41-month prison sentence and a $41,000 bill for restitution, according to the U.S. Fish and Wildlife Service. It didn’t help Keith Cantore’s case that he was on bond for previous federal charges involving selling turtles. Swimming with manatees at one of their most popular hangouts may be curtailed in winter. 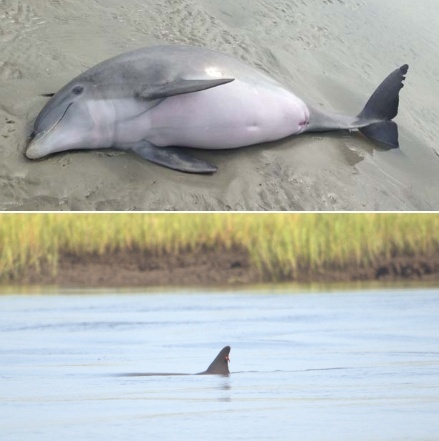 With more of the endangered mammals wintering in Three Sisters Springs at Florida’s Crystal River National Wildlife Refuge and more people flocking to see them, the Fish and Wildlife Service has proposed three management options to protect the animals – no change, limit swimming or halt in-water viewing – and recommends significantly reining in swimming, plus other measures. The public can comment by Sept. 4. Got pigs? The U.S. Department of Agriculture is surveying nearly 10,000 farmers in Georgia and 10 other states to gauge the impact feral hogs, an invasive species, are having on crops and livestock. Learn more about wild hogs and other invasives in the Georgia Wild “War on Georgia’s invasives” series, parts I and II. Names in the news: Conservation easement specialist Sharon Holbrooks of the USDA Natural Resources Conservation Service has been named to UGA’s 40 Under 40 Class of 2015. Mike Brod transitioned this month from wildlife biologist for the U.S. Forest Service’s Chattooga River Ranger District to staff officer overseeing the Chattahoochee-Oconee National Forest Fire and Natural Resources programs. Georgia radio and TV personality O'Neill Williams is being inducted into the Legends of the Outdoors National Hall of Fame in Nashville, Tenn.
How to remove a sea turtle from a moat. Despite dip, wood stork nesting soaring. "Importing both salamanders and their potential destruction," The New York Times. Also: NPR. "Georgia wildlife plan addresses climate change," Savannah Morning News. Also: "Support wildlife plan."